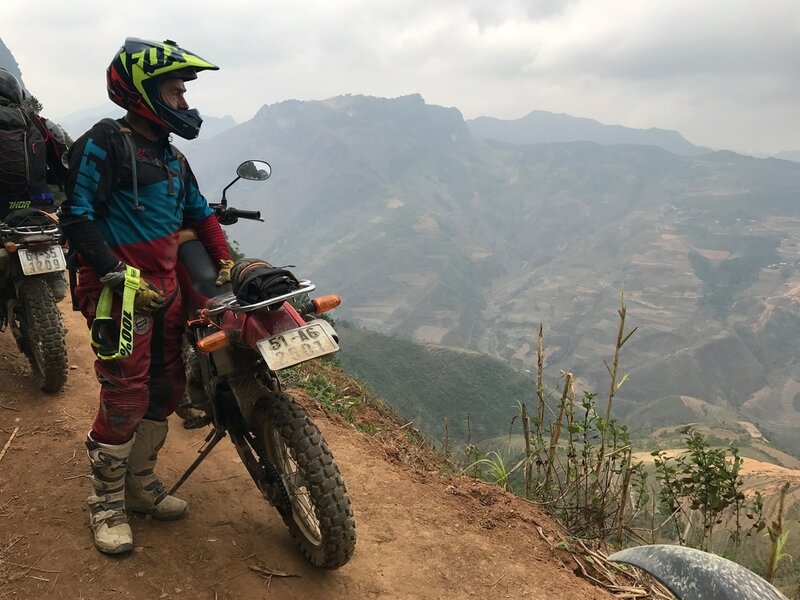 ​Venture along some of the best broken roads and optional easy enduro trails in Northern Vietnam, discover an impressive vastness of mountain ranges, high peaks and remote villages, experience the adventure of this wonderful country all from the saddle of your bike. 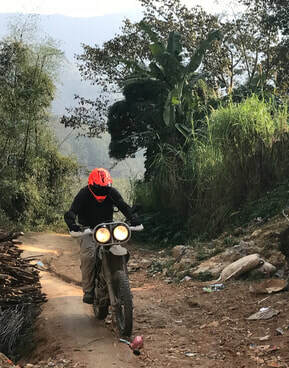 The RAMS Karst Rider Vietnam Tour follows the Chinese boarder along trails made by generations of Vietnamese villagers crossing forests, streams and mountains in order to survive. Stunning passes, roads cut into the mountains and huge drops make this ride spectacular and literally breath-taking. 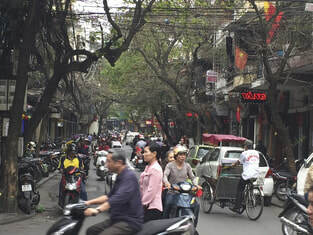 ​Hanoi is a vibrant full on city that has to be explored. Stay in the Old Quarter of the town where you can sample the street traders food and night market or visit the downed B52 American Bomber in the middle of one of the cities lakes. 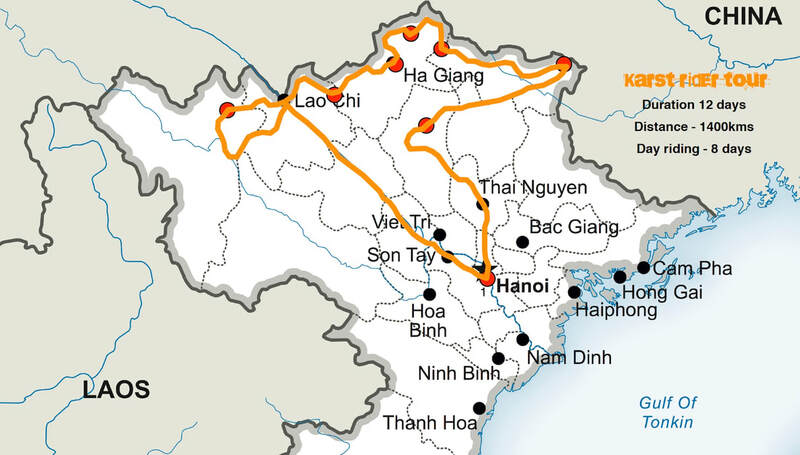 Overnight Sleeper train to the Chinese Boarder - That evening we will catch an overnight sleeper train to Lao Cai in the northwest province of Vietnam, unload the bikes and following breakfast we hit the trails and head into the mountains. 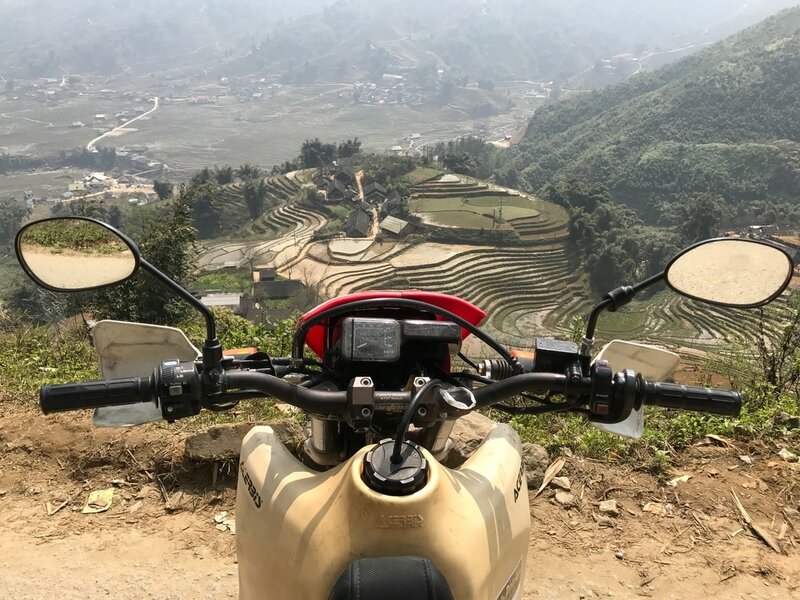 Sa Pa - In unsurpassed natural surroundings, visit cultural sights of great importance and watch the ethnic villagers fill the air with their traditions and colourful outfits as they wave and smile as we pass through. Marvel at the the mountain passes and look down the valleys toward the Chinese Boarder as we traverse each road cut into the rocks. Weave through the endless tracks as we climb to the sky through the clouds in search of the next amazing landscape. Ba-Be National Park - Explore Vietnam's largest National Park where you find nestled in the rainforest the magnificent lake of Ba-Be with its waterfalls and cave network make it a must for any visitor. Get wonderful views and amazing photos across the province from the top Ba-Be tower or head across the lake to the An Ma temple. Ban Gioc Waterfalls - The waterfalls probably hang on a wall in a Chinese takeaway near you however seeing and hearing the falls up close is something that stays will you forever. After breakfast the day is your own. Check out the downed B52 Bomber in the lake, the War Museum or the Ho Chi Minh Mausoleum. We will meet late afternoon to check out the bikes before they get loaded onto the Night Train. After dinner we also board the train and bed down for the night. Arrive at Lao Cai the next morning around 6:30am. Time to get on the bikes and start the adventure. 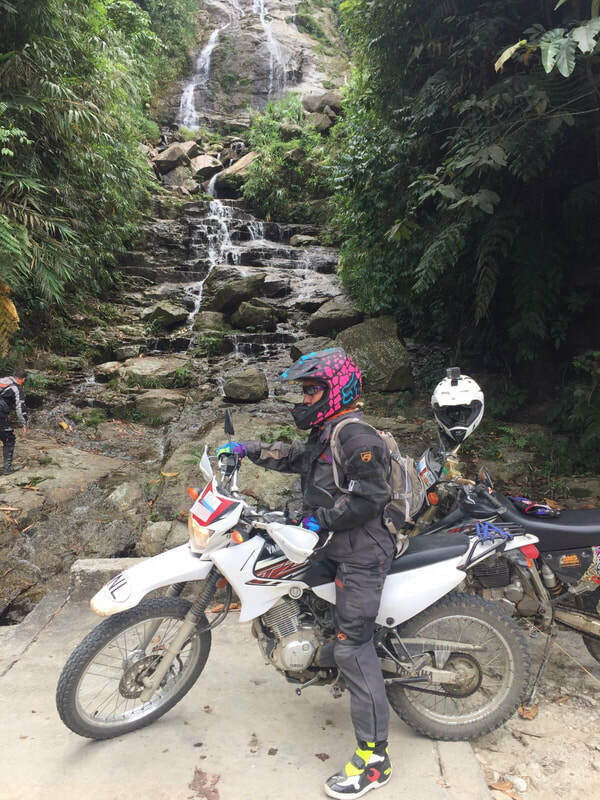 We ride out of Lao Cai and soon turn off on to the mountain trails. Small broken roads and stone paths take us high with our first chance to see the scale of the surrounding landscape. Lunch at Ta Van, but check out the minority hill tribe people. 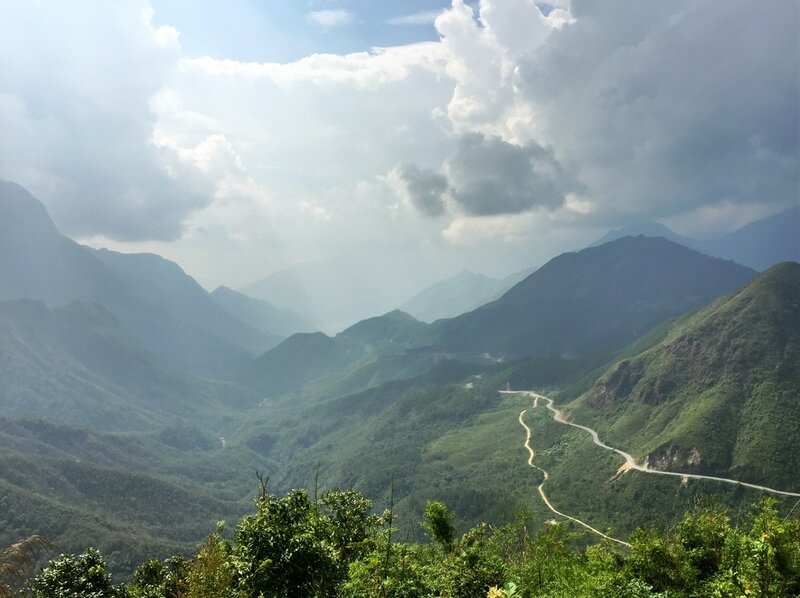 View the Sapa pass, a ribbon of tarmac draped over the mountains with incredible switchbacks and elevation changes and then ride it. Tonight we stay in Sapa Village, a small trading post with many markets and tourist shops to explore. As we head down the mountain tracks from Sapa we again return to Lao Cai for lunch at the Chinese trading post and Boarder Crossing. Small pushbikes laden with goods come into the town from China to trade at the local markets. 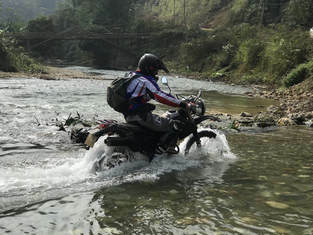 We leave Lao Cai along the river boarder on single broken roads as we ride into back into the hills. Today is the day of waterfalls, switchbacks and long drops. 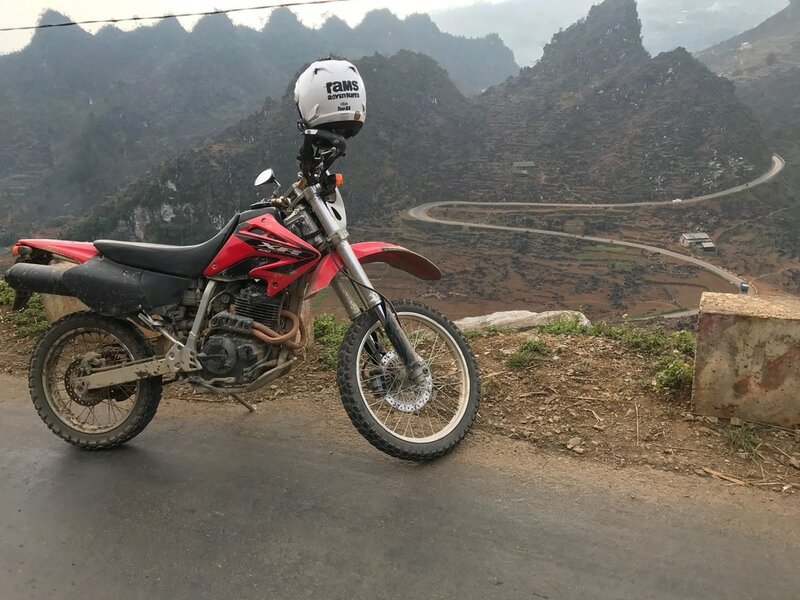 Roads are a great mix of smooth tarmac, broken trails and hill tracks to the town of Ha Giang. Here we get to ride through the hotel on our bikes, a great opportunity for a photo but remember no wheelies in reception. We each buy the inner line permits that allow us to enter the next province. You may notice the mountains start to change shape, huge limestone boulders seem to have some symmetry to each other as we weave around their bases, stunning. Today you will ride the famous Sky Road goat track but only for those who have a head for heights. After breakfast its straight on the bikes and into a small off-road section which takes us through some tiny bamboo villages. The Villagers are always welcoming to strangers with a cup of hot green tea and maybe a glass of rice wine, my advice is stick to the tea. Great trails give way to the daddy of all waterfalls at Ban Gioc on the Chinese Border, tonight we sleep overlooking the falls. Following a an early start on the bikes we head along the border, following the river we soon head back into the hills for more mountain trails. On arrival at Ba-Be we jump on a small boat and explore the tiny bays, waterfalls and caves around the lake. The accommodation is basic but wait until the morning you will have a treat with the sun rising over the lake. 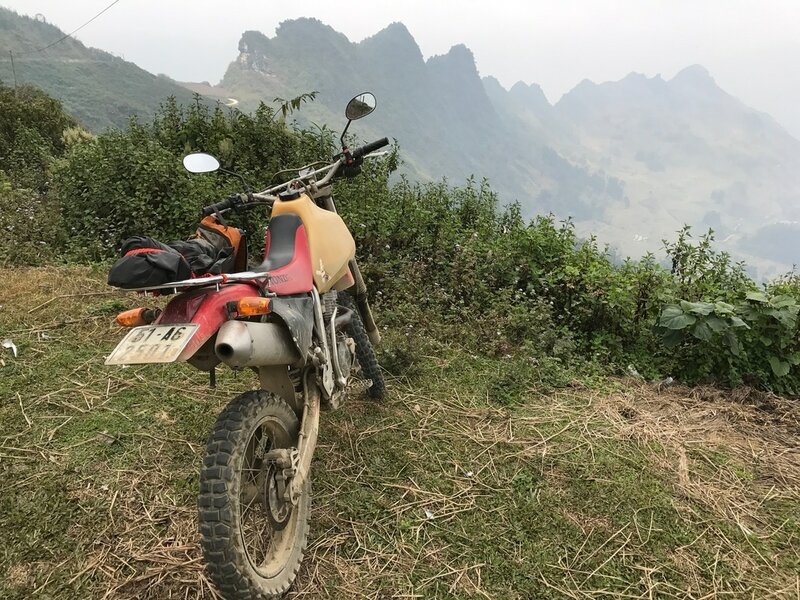 Back on the bikes for one last time as we try and “sneak” back into Hanoi using some of the best back roads in Vietnam. We will ride through tiny villages until we hit the traffic of Hanoi, now there’s an experience. Tonight we say goodbye to our new Vietnamese friends. RIDING MECHANICS: All tours have a team of mechanics who will ride with the group to allow maximum time on the bikes. Each evening the bikes are then worked on the ensure they are in tip top condition for the next days ride. ROAD CONDITIONS: Some broken road sections in mainly smooth tarmac road. Optional sections of trail riding if required. ​DIFFICULTY 4: Easy road with broken sections with some road riding. Suitable for novice riders and seasoned confident riders with experience. MOTORCYCLES: Honda or Kawasaki 250cc Enduro style bike as standard or you can upgrade your machine to fit. ​Motorcycle Mounted Guide(s) and Mechanic(s). One or two UK based Medics riding with the group (depending on size of group). Meals – breakfast, lunch and dinner unless otherwise specified. Accommodation on a twin share basis. Luggage transportation from each accommodation. Motorcycle rental and transportation of bikes to start of the event and from the end of the event. Regular wear and tear to the motorcycles of both rider and guide. Airport pick-up and drop off, unless arriving/departing independently of the main group. Branded tour T-shirt and Buff. Any alcohol consumed during the course of the tour by the participant. 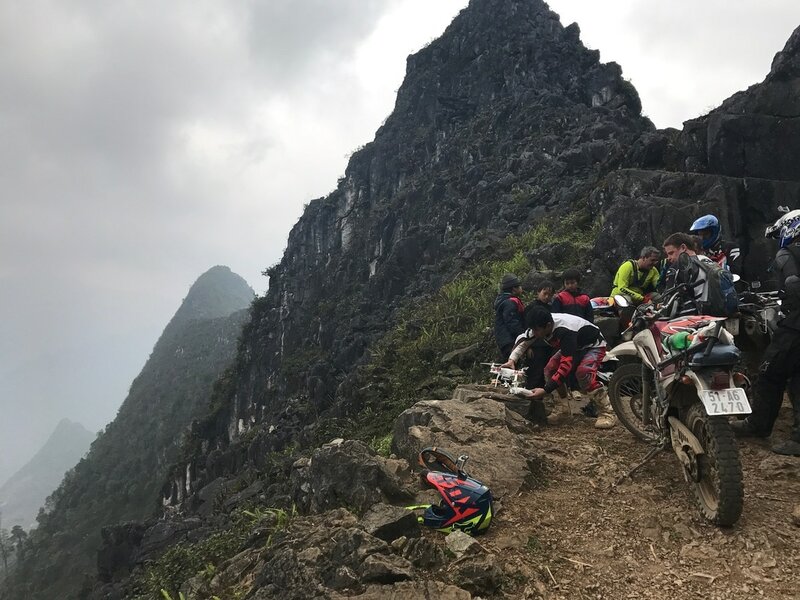 Any accident damage caused to a participant's motorcycle while on tour. All accident damage costs must be paid by the participant. Passes or permits incurred as part of the trip. Expenses incurred that are not listed as part of the itinerary. Medical treatment or evacuation of a participant either as a result of being on tour or not as a result of being on tour.